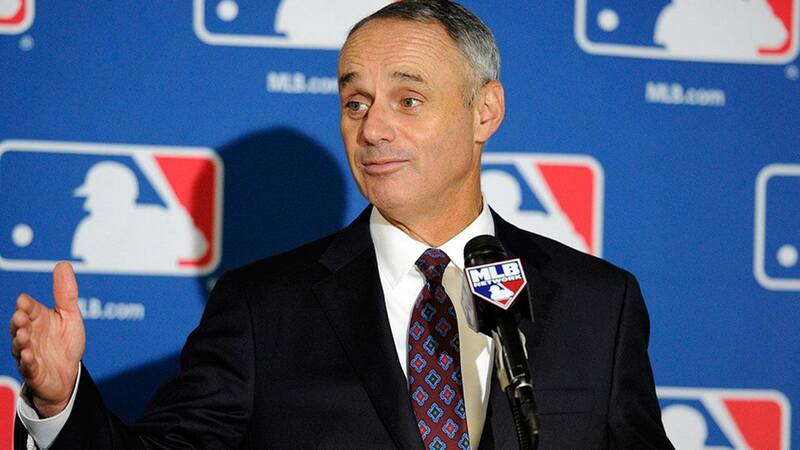 Major League Baseball (MLB) Commissioner Rob Manfred said last week that Las Vegas could be an option for relocation of a franchise. 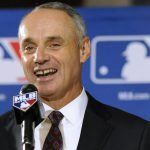 The chief executive of professional baseball says the league would be open to exploring Sin City should a team like the Oakland Athletics or Tampa Bay Rays wish to relocate. Both franchises are playing in outdated stadiums, but their host cities are refusing to provide public funding to help construct new venues. 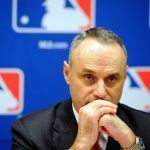 “If we were looking at relocation, Las Vegas would be on the list,” Manfred revealed to a group of sports journalists during an annual meeting at MLB headquarters. TheChicago Tribunefirst reported his comments. 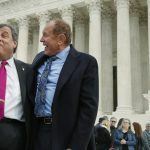 The Big Four sports organizations in the US, the NFL, MLB, NBA, and NHL, had long opposed Las Vegas for sanctioned games due to the city’s widespread sports betting at casinos. That’s changed in recent years, as professional hockey is coming to Nevada in 2018 with the Vegas Golden Knights expansion team, and the Las Vegas Raiders will bring the NFL to the Mojave Desert in 2020. With the NFL and NHL booking tickets for Las Vegas, the city has attracted half of the Big Four. And NBA Commissioner Adam Silver shares Manfred’s position that the gambling mecca no longer presents the integrity obstacles it once did. When casinos were largely confined to Las Vegas and Atlantic City, concerns over game integrity were often cited as reason of opposition to Nevada. But with gambling expansion taking over the US, those apprehensions are no longer exclusive to Sin City. Manfred says Major League Baseball will keep a close eye on how well the Golden Knights and Raiders fare in the city, and whether there’s an adequate fanbase to support the franchises. The Raiders will be the bigger challenge for Las Vegas, as its planned $1.9 billion, 65,000-seat stadium will require great support from locals and visitors. Mark Davis’ football team isn’t expected to begin playing in Las Vegas until 2020, meaning Manfred won’t have much data to go on should the A’s or Rays file to relocate to the city. As for an expansion team, Manfred said that would not be considered until Oakland and Tampa Bay’s situations are settled. Las Vegas baseball fans shouldn’t get too excited, at least not yet. There are plenty of hurdles in bringing MLB to the desert. A stadium would almost certainly need to be domed, as the summer months of June through September are very hot. Despite low humidity, the average daytime highs in July are over 104 degrees Fahrenheit. The more pressing worry, however, is whether Las Vegas has an adequate pool of permanent residents to support a baseball team that would play over 80 home games each year. With about 2 million residents in the metro, Las Vegas would have the second-smallest population of MLB’s current 30 teams. Only Milwaukee, with 1.6 million, would have a smaller potential fanbase.